Tickets available online at luckypennynapa.com or by calling 707-266-6305. All reserved seating, $39 General, $34 Seniors, $28 students/active military. Check show times as there are several different show times. Price: Tickets available online at luckypennynapa.com or by calling 707-266-6305. All reserved seating, $39 General, $34 Seniors, $28 students/active military. Check show times as there are several different show times. 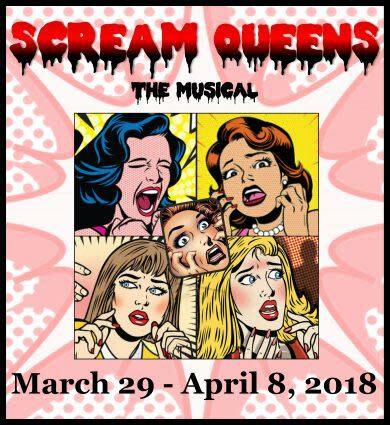 “They sing – they dance – they die!” A hotel ballroom, 1998, and six voluptuous B-movie “Scream Queens” revive their fading acting careers by presenting a musical revue for their fans at a science fiction and horror film convention. From a young newbie to seasoned grand dame, the Queens strut their stuff in song and dance for 90 minutes of hilarious musical mayhem. The Queens take the audience into the world of no-budget movies with awful scripts, fake monsters and gooey special effects. 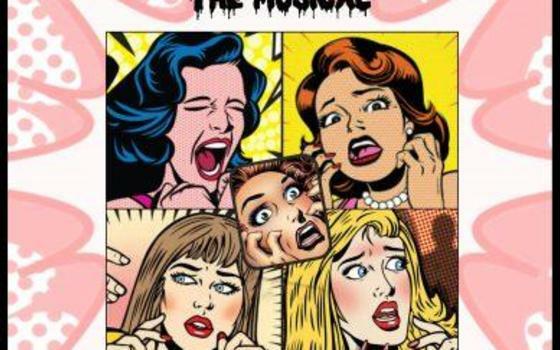 They even involve the audience in a screaming contest and zombie talent search. As each Queen reveals her personal story, and screen original clips from their direct-to-video “scary movie” we share in their hopes and dreams.